When you are shopping for a ground coffee, the number of packages on the shelves can be absolutely overwhelming. The bright colors on the packaging can lead you to think that the coffee inside of it is just as bold and strong. Also, once you have chosen a coffee, another one sneaks up on you. These tips I am going to share with you will make choosing a ground coffee a latte easier. Big Bags of Coffee: It is not a good idea to purchase a large bag of coffee. The reason for this is that the coffee will not remain fresh. Purchasing a smaller bag may cost more, but you will get a fresher mug of java from them. beans have a better taste. The area where coffee beans are grown is connected by the Tropics of Cancer and Capricorn. Most of the coffee made is produced in Brazil. Vietnam, Indonesia, and Columbia follow after them for coffee production. A lot of people love Colombian coffee and their blends are the best seller when it comes to ground coffee. Typically, Arabica beans are planted at high altitudes and are considered to be the better of the brews. Robusta beans are a heartier coffee, but their taste is more bitter in nature. At times a mixture of both of these coffees is best for a lighter roast. The size of the package and the type of bean are not the only things you need to consider when it comes to coffee that has been ground. Coffee beans are roasted prior to being ground and used to make coffee. When coffee beans are roasted, the aroma and flavor that are inside the bean come out. The majority of coffee packages will have the kind of coffee that they have stated on their package. However, there is not common across all the brands, so you will have to compare different types to discover the level of taste that meets your needs. It is important that you also know that the more darker a roast is does not mean it has more caffeine in it than the lighter roasts. 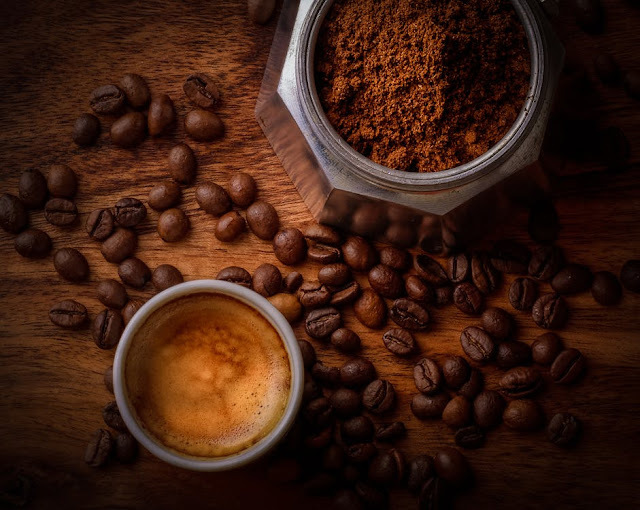 In fact, according to the National Coffee Association, lighter roasts have a slightly higher level of caffeine than dark blends. It is important that the way coffee grounds are brewed affects the amount of caffeine is in a coffee. Light Roast: This type of roast is lighter in color and is typically used to make a milder pot of coffee. It can have a bitter taste. American roast as it is the preferred type of coffee in America. bitterness. The level of varies from slightly dark to charred. Latin America: These coffees come from Central and South America, Columbia, Costa Rica, Panama, New Mexico, and the Caribbean. The blends of these coffees from this region are typically light, sweet, and balanced with a high level of acidity. Mild and medium roasts turn out best in this region. Africa/Arabica: The coffee beans that grow in Africa, the Middle East, and the Arabian Peninsula are typically of medium acidity and body. Dark roasts do best in this region due to the fact that they balance the complexity in flavors that range from spicy and chocolatey to wine-like and citrusy. Indonesia and the Pacific Islands: Coffee grown in Asia, Indonesia, and the surrounding Pacific Islands offer hearty and earthy flavors with only a small amount of acidity. It is healthy and strong in nature and need to be roasted dark to very dark to ensure that they keep their flowery undertones. If you want to try a really great coffee, please visit GIMOKA Coffee UK website and check out their great variety of coffees.